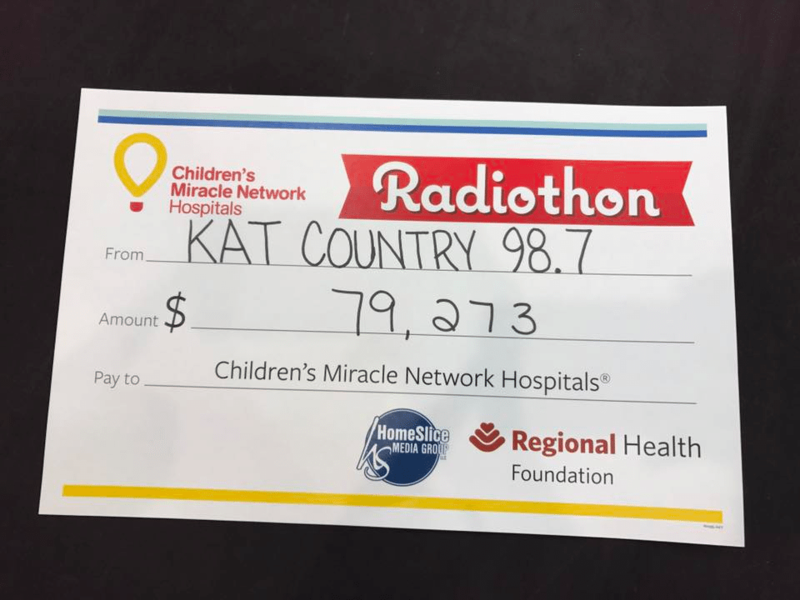 The HomeSlice Group‘s Rapid City radio stations came together Friday (5/5/17) for a 12-hour radiothon at Regional Hospital that raised $79,273! Thank you to Black Hills Life Flight for their donation to Children's Miracle Network! Radio stations 98.7 KAT Country, 100.3 The Fox, 93.9 The Mix, Hot 93.1 & 97.5 and Smash Hits KKLS all devoted priceless airtime, airing patient stories, interviews with families, staff and sponsors and giving their listeners many reasons to donate tens of thousands of dollars to this vital community asset. 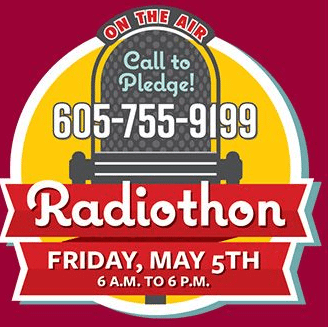 Many thanks to the HomeSlice staff, sponsors and donors who contributed to this year’s radiothon. All funds generated through this one-day event stay right here in South Dakota to pay for equipment, training and programs that will benefit the thousands of children treated at Regional Hospital each year.